If you recently changed your workout from running to swimming you are not alone. Most health nuts, after hearing what an amazing workout swimming technique gives the entire body, and how gentle it is on your muscles and joints, take the dive and never go back to dry land. But switching from running outdoors with an iPod and fresh air, to the quiet, phone-free-solo-discipline of doing laps in an indoor pool can be a challenge (if not plain, boring) at times. 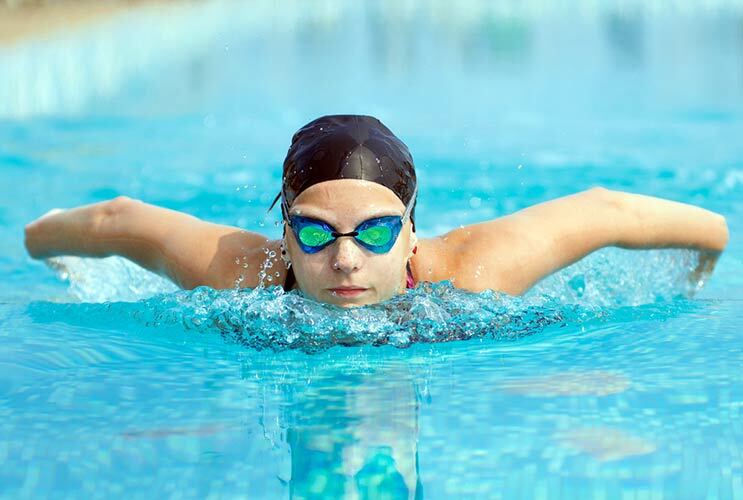 Experts like Donal Buckley, an Irish marathon swimmer, recommend that beginners have a workout plan before they jump into the pool. It doesn’t have to be detailed, but at least a basic mental idea of what you want to accomplish that day, what muscles you want to work. “For example, one of the more common approaches I see at the pool consists of: Getting in the water. Swimming continuously for X amount of time. Getting out,” Buckely told Marathon Swimmers.org. Though this a perfectly great way to release stress and get a mild to moderate aerobic workout, you won’t exactly strengthen muscles in your upper body, lower body and core. With that in mind, here are a few pointers on getting the most athleticism out of your laps.